This time of year can be hectic … family activities, shopping, crowded places. A guy can use a little fresh air & solitude, and sometimes a good Christmas Bird Count (CBC) can deliver just that. This past weekend saw the resurrection of a great count that hasn’t taken place for several years now – the Cape St. Mary’s CBC. The count circle takes in some very isolated areas, especially in winter when tourists are not exactly swarming to this beautiful ecological reserve. My team (consisting of John Wells, Ed Hayden and I) were tasked with checking Cape St. Mary’s itself, the road leading to it, and the nearby communities of St. Bride’s and Cuslett. After a 2.5 hours drive from “town”, we met a rising sun at the lighthouse – overlooking some stunning coastline, rugged cliffs and a flock of ~600 Common Eider on the water below. What a great, peaceful way to start our day! A beautiful sight to start our morning – the breathtaking cliffs and coastline of Placentia Bay, looking west from the lighthouse. We birded around the lighthouse and entrance to Placentia Bay (west side of the cape), picking up more Common Eiders, Long-tailed Ducks, Common Loons, Dovekie and a few other odds & ends, including three Black-legged Kittiwake which are scarce in winter. 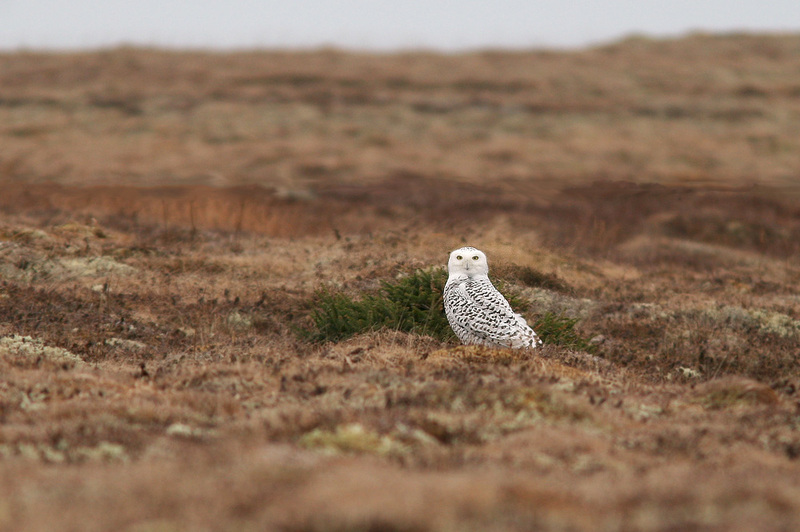 The barrens just north of the lighthouse were hosting several Snowy Owls – not too unexpected given reports from around the island recently, although they ended up being the only owls reported all day! 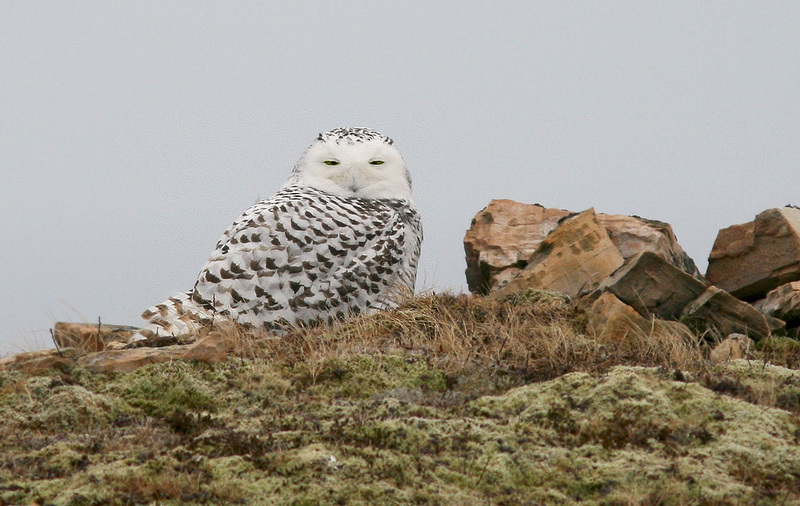 It’s been another good year for Snowy Owls, and were were greeted by several as we arrived at Cape St. Mary’s for dawn. 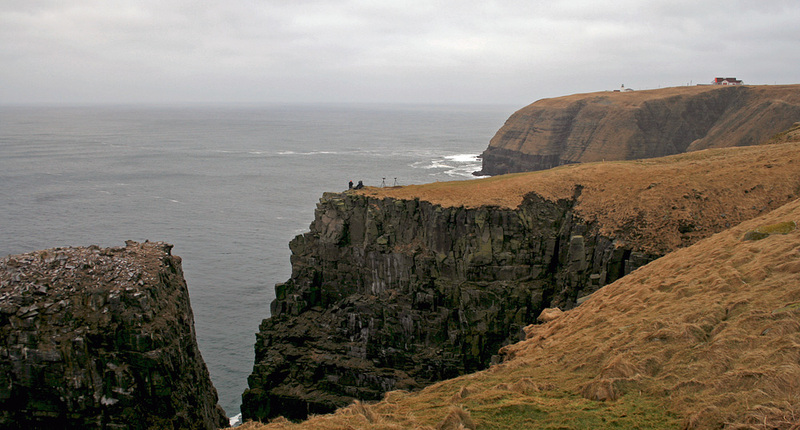 Hiking east to Bird Rock (one of the world’s largest Northern Gannet colonies) was a surreal experience. In contrast to summer when the entire coast and surrounding waters are teeming with tens of thousands of breeding seabirds, it was virtually devoid of life. The cliffs were eerily quiet and abandoned, the upland tundra was completely still and the crunch of the rocky path under feet was often the only sound. A few dozen Common Eider and Long-tailed Duck dotted the waters below and six Great Cormorants stood watch on a rocky outcrop, but otherwise there were very few birds. But the cold salty air and moments of solitude did my soul a world of good. It is surreal to see Bird Rock (left) completely devoid of birds this time of year, when it is bustling with thousands of gannets during spring and summer. Here, John & Ed enjoy a mid-morning seawatch while I hiked over the eastern ridge. Scanning over the barrens, I located a couple Snowy Owls, an adult Bald Eagle and a lone American Kestrel hunting over the tundra (a very good bird for this count, actually!). While John & Ed did another seawatch from Bird Rock overlook (scoring four Starlings for their trouble! ), I hiked over the eastern ridge for a view of Golden Bay, flushing two Northern Pintail (first records for this count) along the way. This area, and especially this bay, is an important wintering area for Harlequin Duck. While we didn’t see any in our assigned area, a record number of 374 individuals were spotted along more eastern parts of the coastline – an uplifting sign for this threatened species! 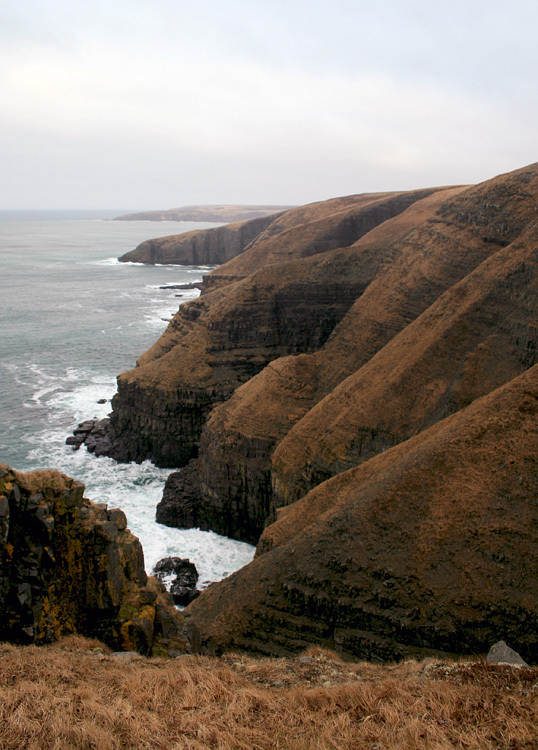 A view over Golden Bay, which lies just east of Cape St. Mary’s. 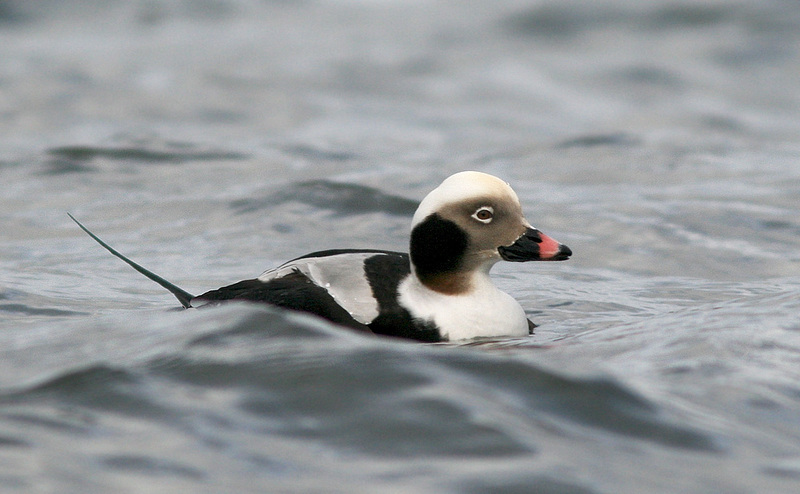 It is an important wintering area for the threatened Harlequin Duck. The rest of the day was relatively uneventful as we birded St. Bride’s and Cuslett – two beautiful little communities on the Placentia Bay side of the peninsula. Dark-eyed Juncos were seen in excellent numbers, but few other passerines were recorded. In fact, we came up with ZERO sparrows (uncommon in winter, but a few are usually expected) and nothing out of the ordinary. A Red-necked Grebe was a decent find, while three Purple Sandpipers and a somewhat cooperative drake Long-tailed Duck gave me a short photography break. 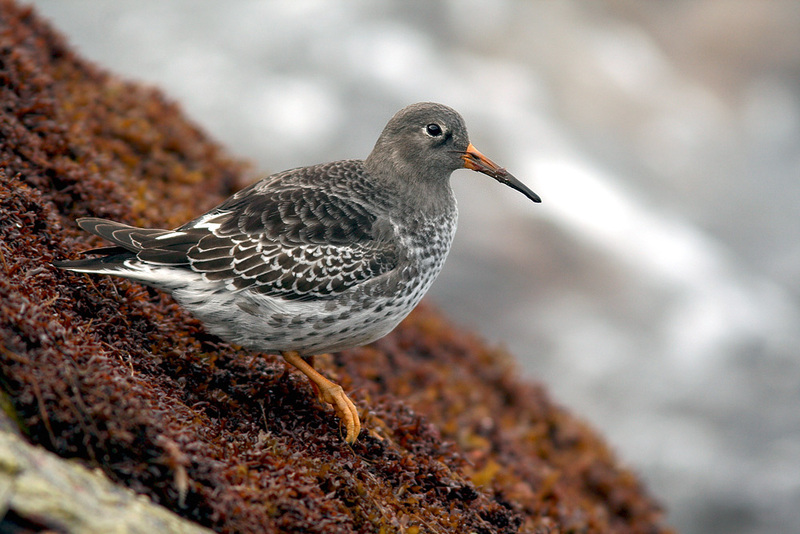 Purple Sandpipers are among my favourite shorebirds … they eke out their winters here in some of the most unforgiving habitats you can imagine. 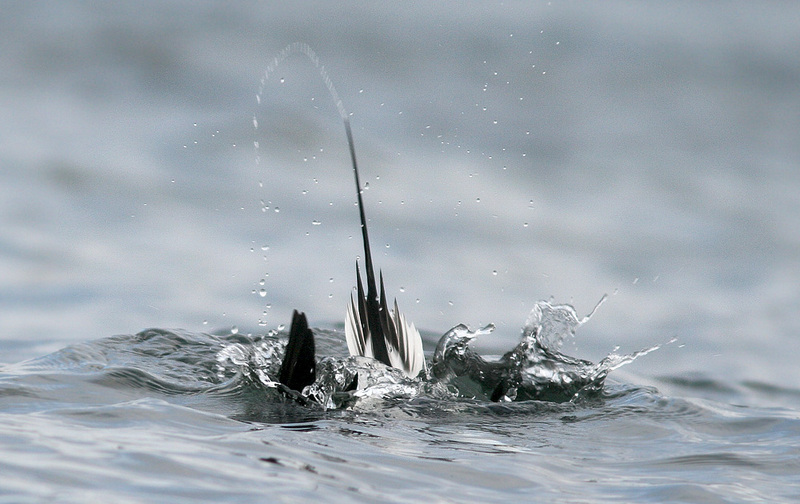 This drake Long-tailed Duck (locally called a “hound”) was feeding at the end of a breakwater in St. Bride’s. Between dives, I managed to sneak up quite close by edging along on the piled boulders. Ciao for now. Merry Christmas!! All in all it was a great day, spent with some great people and at one of my favourite places on the island. And the break from the holiday hustle was the best part of it all! You can see a summary of the entire count here. This entry was posted in Uncategorized and tagged Cape St. Mary's, Christmas Bird Count, Newfoundland, Snowy Owl, winter bird list. Bookmark the permalink. Jared, you’ve captured the day beautifully: straw-coloured cliffs in the morning, Long-tailed Duck at St. Bride’s. I have a video in my head of you creeping out a little further on the breakwater boulders with each duck dive. Closest Long-tailed Duck ever! Awesome photos Thanks for sharing.